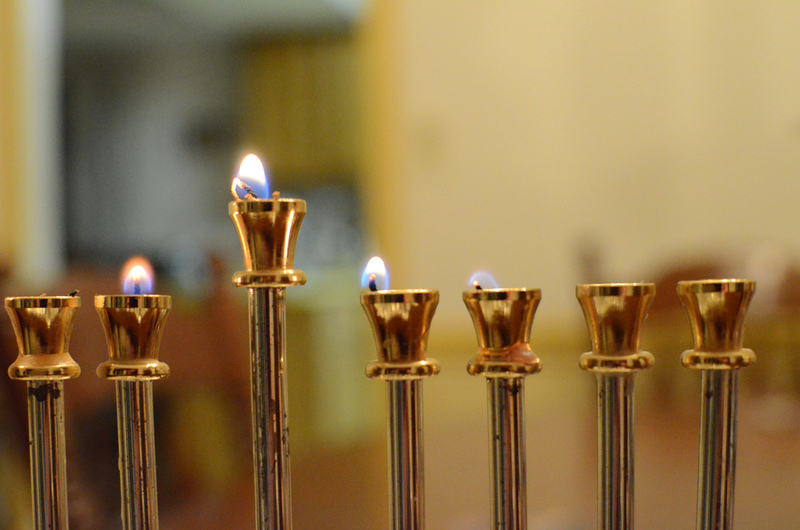 Where is Chanukah alluded to in the Torah? "Hashem will Bless His army, and favor the work of His hands. He will strike down His opponents to the loins and strike His enemies so that they will not be able to rise again." This is a quote from the blessing Moses gave to the tribe of Levi before his death. Rashi states that the Chashmonai, i.e. Yochanan the High Priest, the father of Mattisyahu and his Maccabean sons, are destined, many hundreds of years later, to wage war against the Greeks. Moses therefore prayed for them because the core of the Maccabean Jewish fighting force would constitute a bare handful of individuals most of whom, especially in the early stages, were Kohanim and Leviim of the tribe of Levi. force, led by the twelve descendants of Chashmonai and Elazar, one of the Jewish resistance heroes against the Greeks, initiated an "impossibly futile" military effort whicj miraculously defeated the Syrian/Greek army. This is why the Torah says, "G-d will bless His army and favor the work of His hands." Moses prophesied that the core of the Jewish resistance against Greece would rest on the shoulders of valiant and determined individuals who had no previous training in weapons or war.